step 1: alphagen- a firming cleansing mask contains a scientific discovery- an amino acid which has been proven to break down and remove mineral deposits from between the cells. 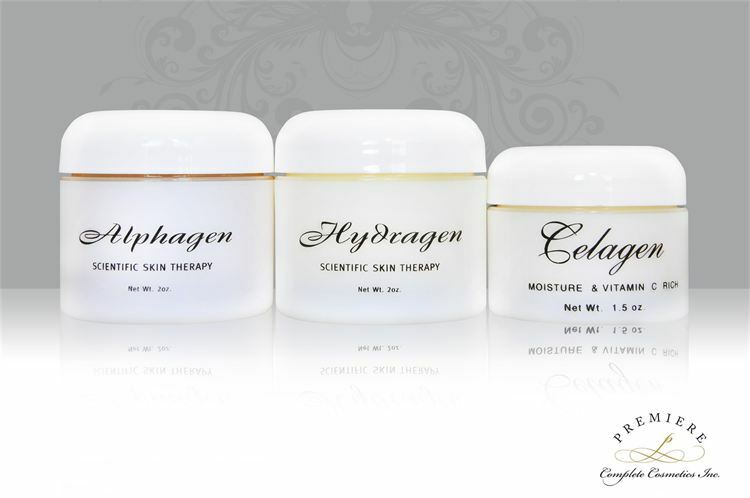 step 2: celegen – high concentrations of vitamin c are used to help skin cells in the production of collagen- the “glue” that holds skin together. step 3: hydragen- loaded with raw materials needed to produce hyaluronic acid (HA) plus two nutrients which have been shown to greatly increase the amount of HA in the skin. Fall Special is $99 through the month of October. Contact me to purchase or for more details. Posted on October 23, 2014, in Beauty, Daily Skin Care, Exfoliation, Premiere Collection Skin Care and tagged age defying, collagen, hyaluronic acid, skin elasticity. Bookmark the permalink. Leave a comment.